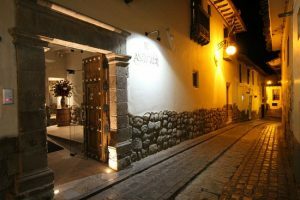 The Antigua Casona San Blas, a historic building situated in the heart of the Inca empire. 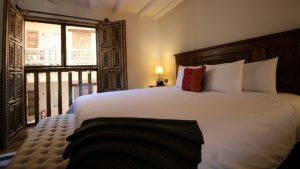 Located four blocks from the Plaza de Armas in Cusco, our hotel is sure to give you an unforgettable experience. 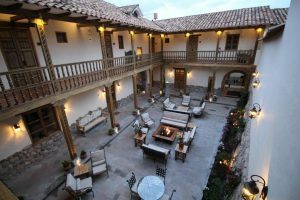 The original casona has been restored to its former prestige with beautiful hand-carved wooden balconies, stone patios, and stone archways that invite the past into the present. 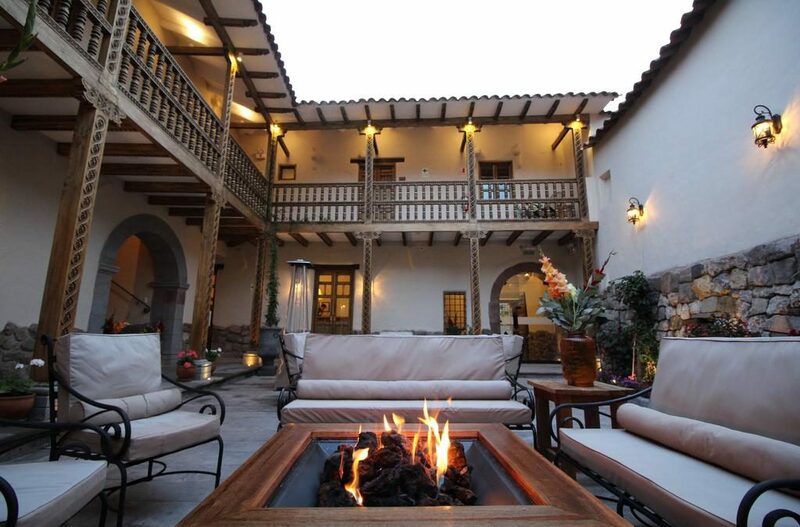 The casona offers an in-house bar, restaurant, central fireplace and lounges. 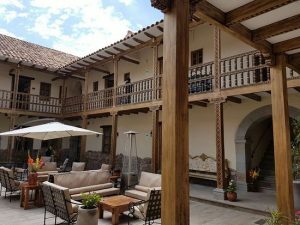 After a full-day of sight seeing we welcome you to our home in Cusco, Peru: the Antigua Casona San Blas. Only four blocks from Cusco’s main square, the Plaza de Armas, amongst some of its oldest casonas in the baroque art district of San Blas, the Antigua Casona San Blas, with its authentic colonial architecture, beautifully appointed rooms, lounges and central courtyard, will provide your clients a warm welcome and an authentic introduction to the culture heritage, art and history of the capital of the Inca empire. 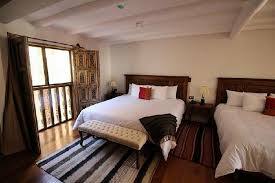 All of our rooms and suites have the same charming décor, handcrafted wooden furniture built in Cusco, original art, antiques, quality bedding, cable T.V., in-room heating, safe deposit boxes, free Wi-Fi access, and bathrooms with quality fixtures. The majority of our rooms have garden views.